For sealing and isolation of flanges, eliminate metal to metal contact to provide electrical isolation and cathodic protection. Flange isolation kit provide both an effective seal and reliable electrical isolation of flanges.By eliminating metal to metal contact, static curremt is halled to prevent corrosion and aid in the cathodic protection of the piping system. 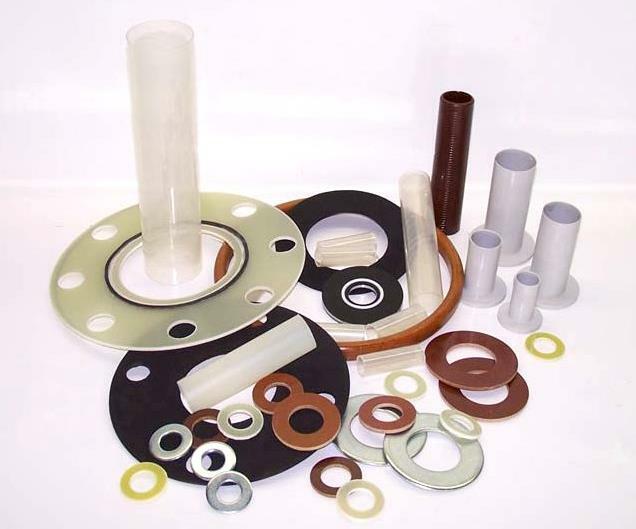 Constructed of high quality materials that have a high dielectrical constant and low water absorption, our flange isolation kit are available varius configurations. We offer flange isolation kits in all sizes, ranging from ½” to 144” in all ANSI and API class and special size upon request. 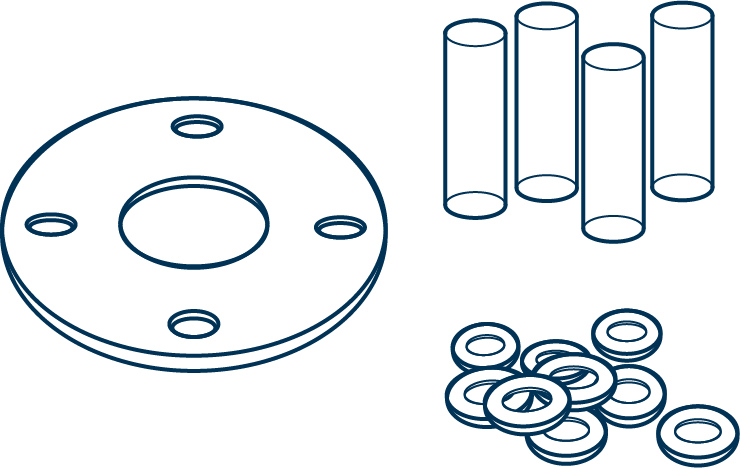 Kit includes washers, sleeves and flat gasket of the same outer diameter of the flange (perforated to allow the passage of the rods). 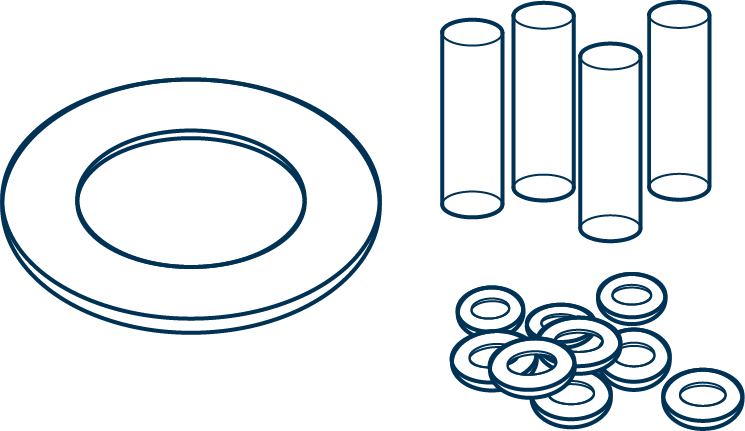 Kit includes washers, sleeves and gasket. The gasket of this type presents a sealing element on each side, and this element can be made of nitrile or viton.